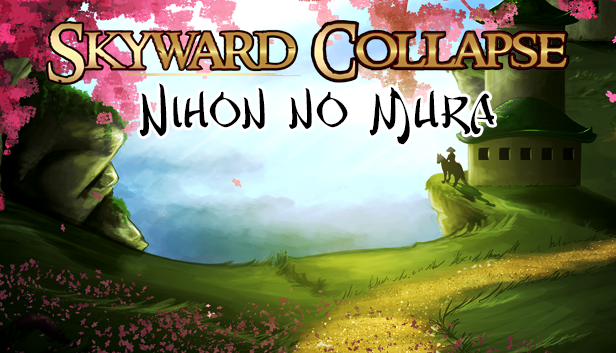 Report RSS	Skyward Collapse 1.5 Beta + First Beta/Preorders for Nihon no Mura Expansion! This one is the first release that includes the new Nihon no Mura functionality. There are some bugfixes and a few balance changes for the base game, but the rest of this release is devoted to the expansion, which can now be preordered if you want to check it out early. It runs $2.99 standard, and carries a 10% discount until official release. This one is the first release that includes the new Nihon no Mura functionality -- well, support for it, anyhow. There are some bugfixes and a few balance changes for the base game (and there will be more of those coming up very soon as well), but the rest of this release is devoted to the expansion, which can now be preordered if you want to check it out early. The 2.0 version of the base game pretty much has all of its features in beta already, and has since early July -- all those masses of new bandits, the new font things, the new balance and monster cave mechanics and so forth. That's been the free DLC content to coincide with the new expansion, although that content largely got finished first just because it took us a while to get the art and design and so forth ready for the expansion. At this point the expansion is humming along, although it's still not nearly feature-complete. The list of things that are "not yet implemented" is actually kind of misleading, because a lot of the code and data for those things is already there, but they aren't finished enough to actually play with. All of the units are actually in the game already, but only the ones marked as complete have all their special abilities intact so far. Anyway, I'm really excited about how the expansion pushes the boundaries of the game in a whole new direction, and I hope you will be too! And even if the expansion isn't your thing or you're new to the game, I think that the recent changes to the base game itself have been super exciting, too. Schedule-wise, I'm expecting that the expansion will be feature-complete within a week, and then we'll be doing the full release of it (alongside 2.0 of the base game) in 3 to 4 weeks.